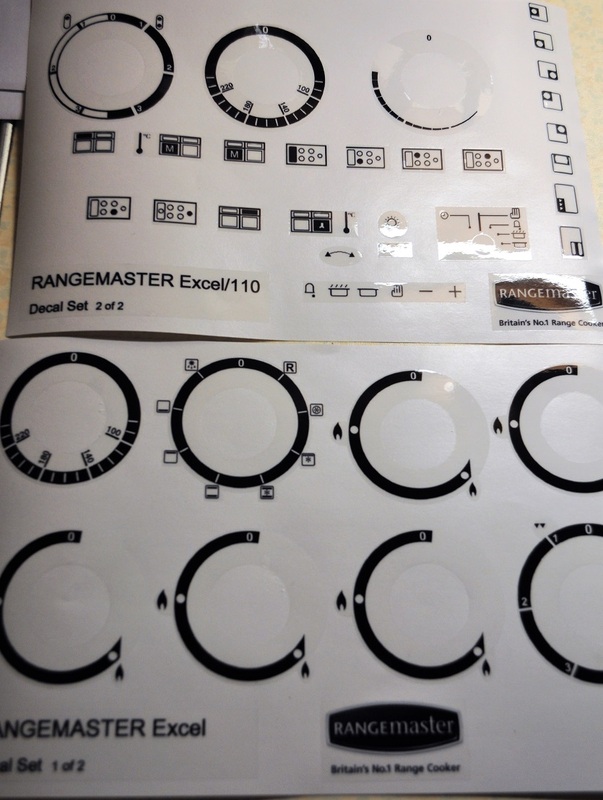 Rangermaster 110 Excel/Toledo front panel, sticker set. 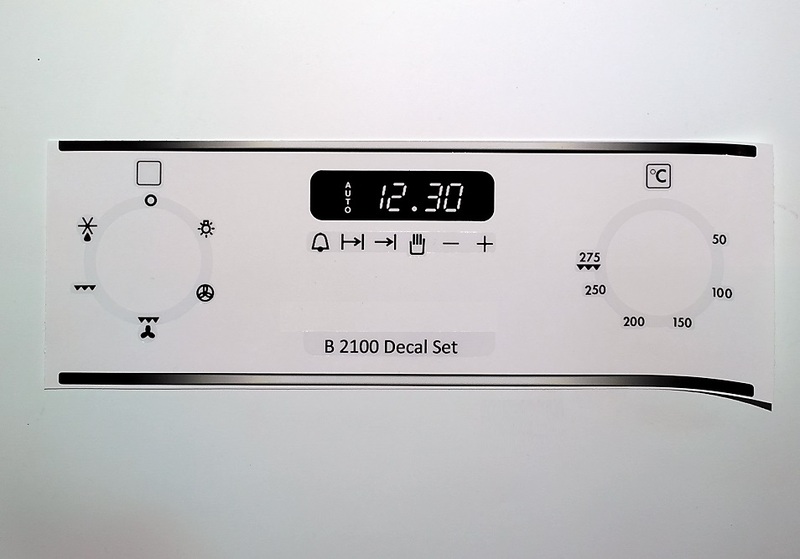 Beko DV555 electric cooker front panel stickers for worn fronts. 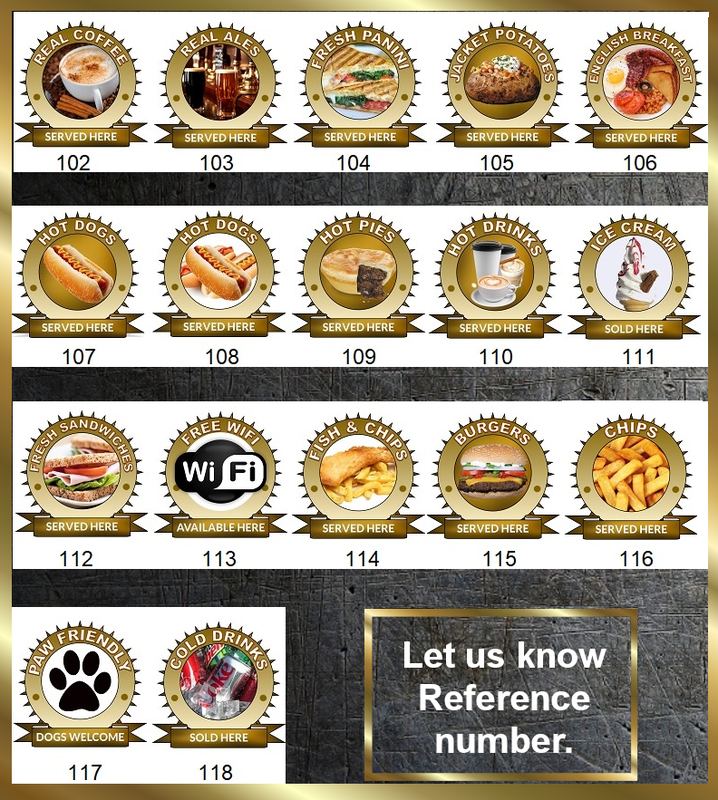 AEG integrated oven sticker sets. AEG 47009GO-MN Oven fascia stickers for worn fronts. AEG COMPETANCE B1180-4 Decal sticker set. AEG COMPETANCE B2100 etc Decal sticker set for worn facia. AEG COMPETANCE D5701-4 decal sticker set, may fit others. AEG COMPETENCE B2100-4 Sticker set for worn fronts. AEG COMPETENCE B3101-4 Sticker set for worn fronts. AEG COMPETENCE B4101-4 Sticker set for worn fronts. AEG COMPETENCE B5741-4 Sticker set for worn fascia. 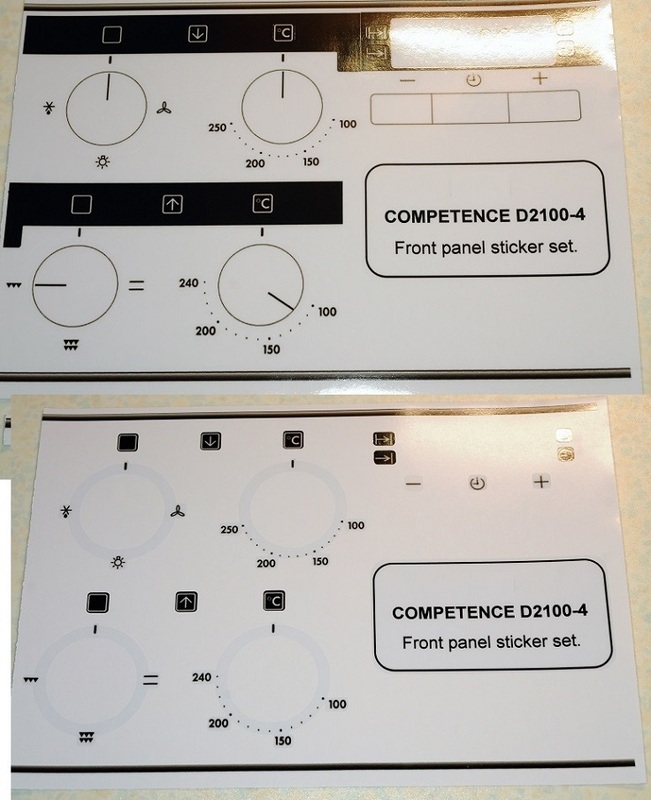 AEG COMPETENCE D2100-4 Sticker set for worn fronts.